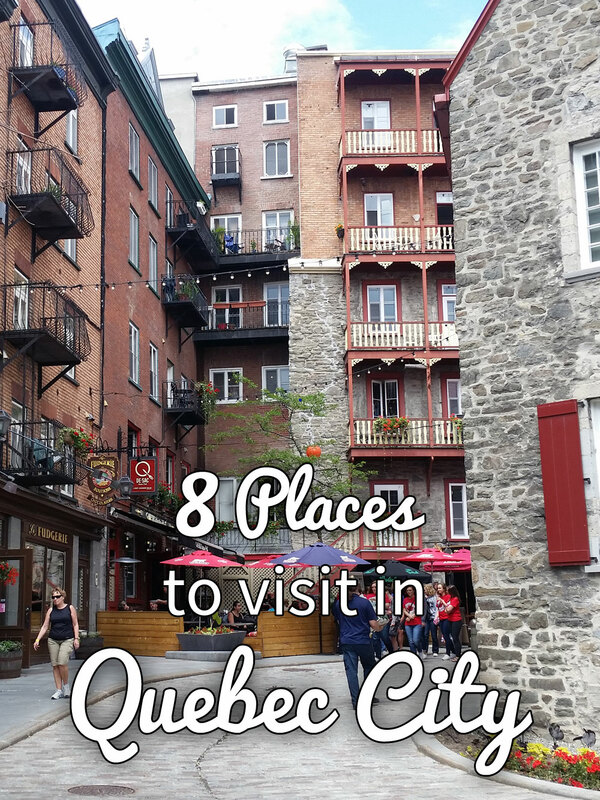 8 Places to Visit in Quebec City January 5, 2016 · 24 min. readThis article may contain affiliate links. Old Quebec envelopes several locations listed below, and will be where you are spending the most of your time. 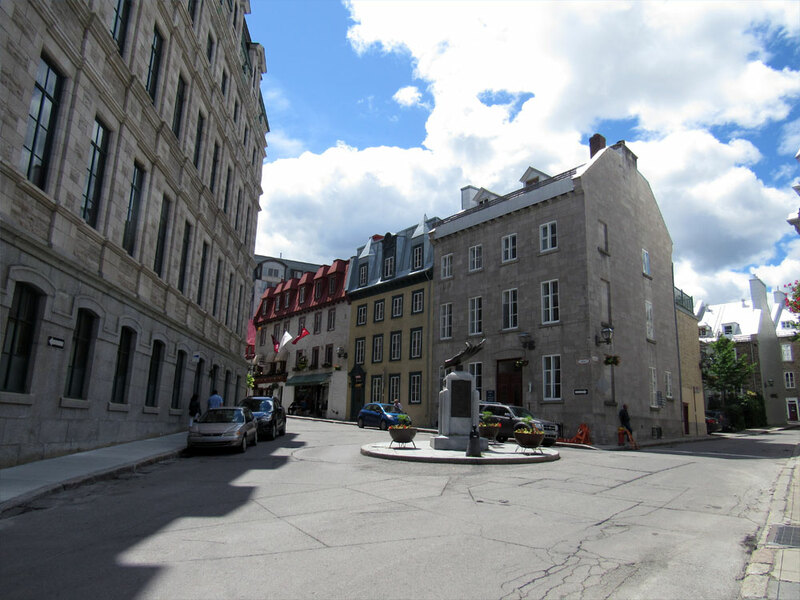 This historic neighborhood was first developed during the early 1600s and has since expanded to become two separate areas: Upper Town (Haute-Ville) and Lower Town (Basse-Ville). Haute-Ville was originally used for royalty and military and is decorated with incredible architecture such as the Château Frontenac, the Citadelle de Quebec, the Parliament Building (Hôtel du Parlement) and many of the city's gorgeous churches and cathedrals. 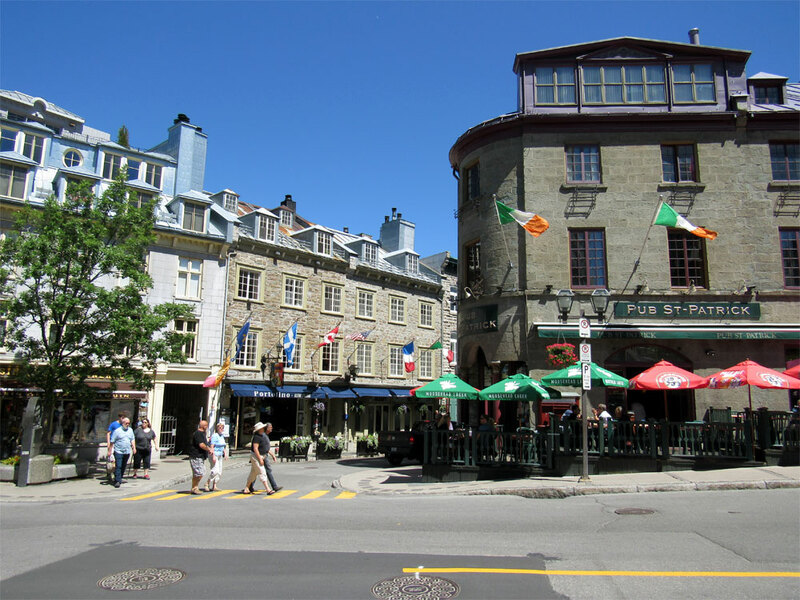 Basse-Ville was used by the merchants, artisans and residents of Quebec City and is filled with the famous winding, cobblestone streets, artisan shops, outdoor restaurants and pockets of greenspace. Since Basse-Ville is built on a hill, there are two levels to the neighborhood, with the lowest section offering a fantastic view of the St. Lawrence. It is here that ocean liners such as the cursed RMS Empress of Ireland left port. 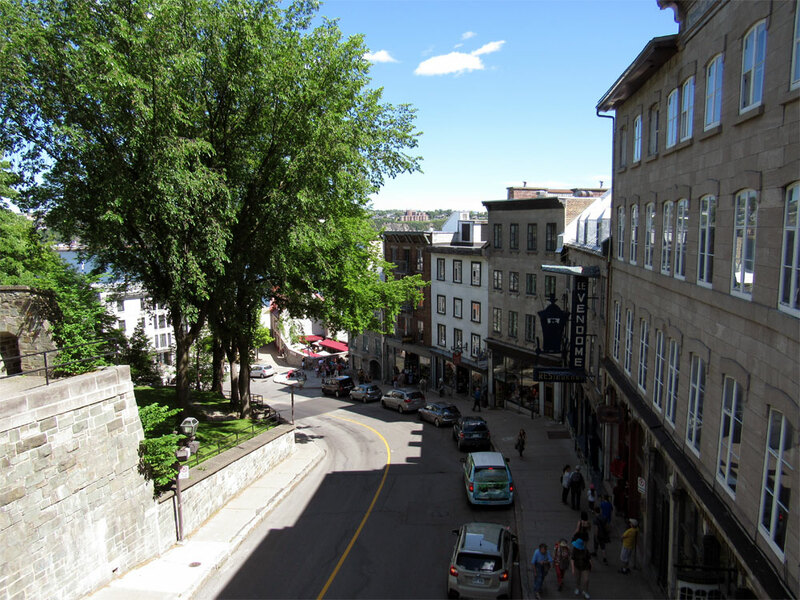 The bottom level offers a picturesque view of the city's residential area and is often traveled by bicycle to fully enjoy the architecture, murals and beauty of the immaculately preserved Old Quebec. While Haute-Ville can be accessed by a variety of stairs from Basse-Ville, there is an alternative way to travel between the two levels of Quebec City: the Funicular, a short distanced railway, the only one of its kind in North America. Admission to ride the Funicular is only $2.25, so it's a decent price for those who don't want to walk up hundreds of winding, wooden and stone steps to cross between the three levels of the city. 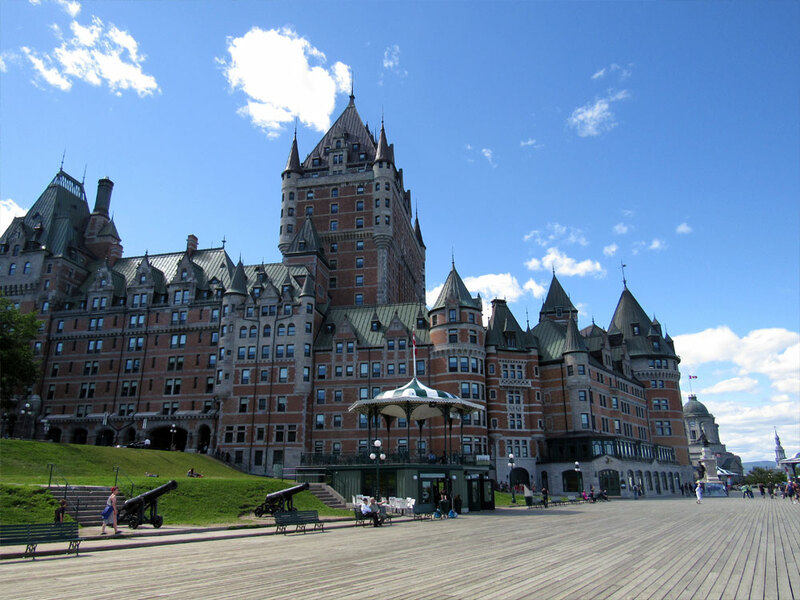 It's hard to miss this incredible structure as Quebec's skyline is dominated by the Château Frontenac. The castle-like building is eighteen stories tall, and has over six hundred rooms. It was one of the dozens of luxury hotels built across Canada by the railroad to promote tourism, with some similar hotels found in Toronto, Winnipeg, Saskatoon, Regina and Banff. The Château Frontenac sits in Haute-Ville and is surrounded by a gorgeous wooden terrace where the St. Louis Fort once stood, the residence of the French Governor of New France, the British Governor of Quebec, the Governor-General of British North America, and the Lieutenant-Governor of Lower Canada. 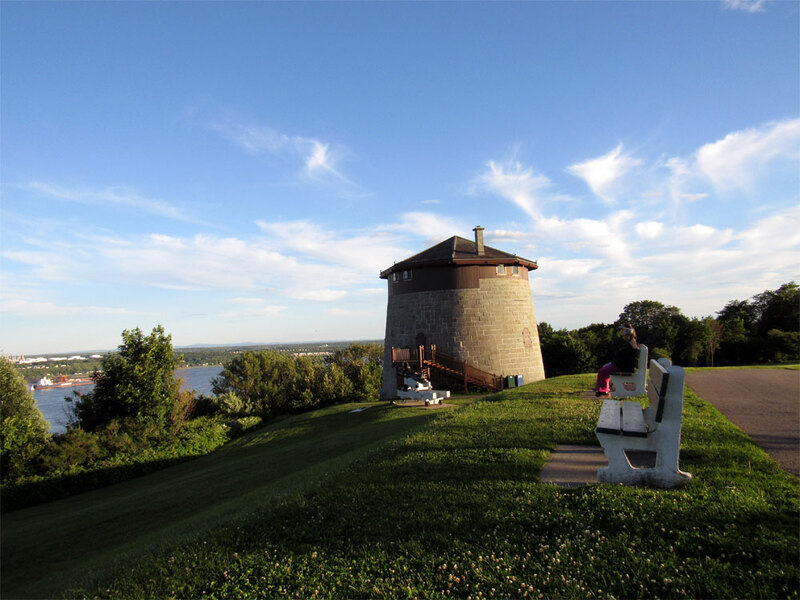 Below the terrace are the remains of the fort in the newly opened St. Louis Fort and Châteaux Historic Site, a museum showcasing early New France lifestyle and the changing building as the city grew. Staying in the Château Frontenac is pricey, and can range from $239 a night to a whopping $2,239 a night. Tours of this beautiful building were originally offered, but the staff discontinued them, finding them too disruptful for the guests. Nevertheless the terrace around the Château Frontenac is open to the public and offers an incredible view of the city from above, along with a great place to stroll with loved ones and to take in the Old World architecture that surrounds the hotel. A three minute bus ride, or an eight minute walk, from the Château Frontenac is the star-shaped Citadelle of Quebec; although if you wouldn't know it was there even if you walked right past it. The Citadelle of Quebec, or La Citadelle, is a military fort built into the side of the hill, completely invisible from ground or sea level. 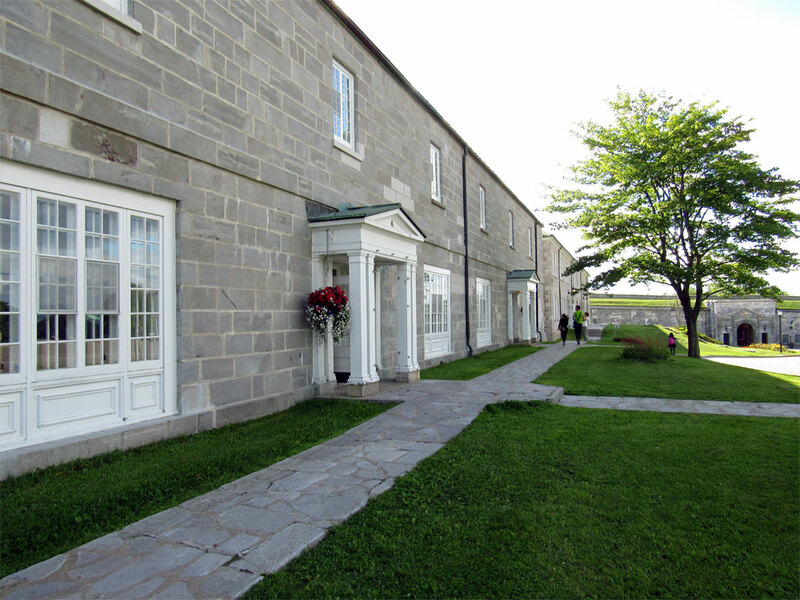 While La Citadelle's twin in Halifax, Citadel Hill, it strictly a museum, La Citadelle is both a museum and active military base. Whole families live in the walls of the fort and children can often be seen running around the green spaces. There are even stories of children using live cannon balls as bowling balls, until somebody realized it would be safer to weld the balls together. With areas of the fort still in operation, photography is limited within certain areas – such as the military museum before entering the fort, and in some of the original structures. The fort also has several munition storage buildings throughout it, but they have all been built with foot thick stone walls and deep into the hill so if they were to blow, the damage and casualties would be minimal. 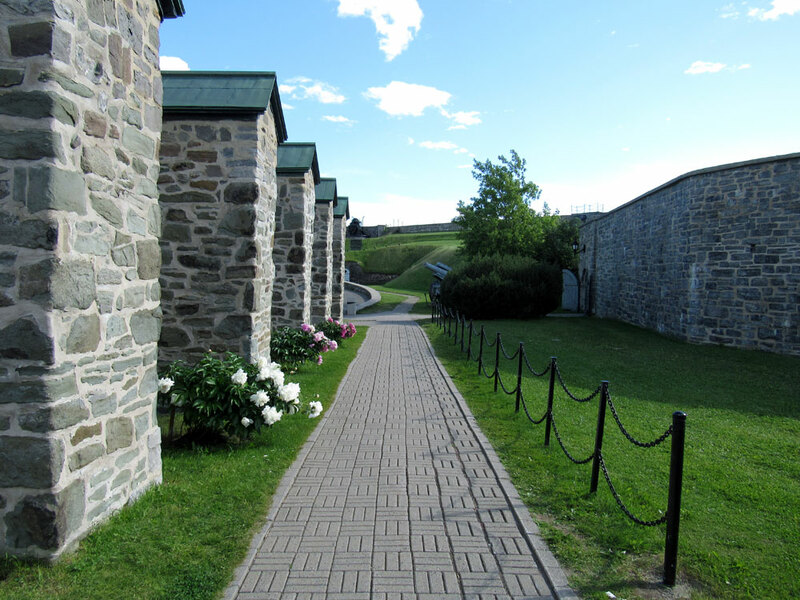 La Citadelle is also lined with cannons pointing towards the St. Lawrence. While most of these cannons are no longer in operation and are simply for show, the cannon "Rachel" does work. One popular story is that one winter day, the soldiers of the La Citadelle wanted to see if Rachel still worked. Seeing the St. Lawrence was frozen, the soldiers believed they could simply aim the cannon towards the river and if it fired successfully, the cannon ball would crash harmlessly through the ice. They fired Rachel and as anticipated the cannon ball flew to the ice, but instead of crashing through the ice, the ball bounced off and crashed into a house in Levis – a city across the river – destroying it. There have been no tests conducted at the Citadelle since. Our guide told us that tickets bought the day before can be used the following morning prior to the Changing of the Guard at 10 AM. This means if you enjoyed the tour, you could come back for the Changing of the Guard for free the next morning! 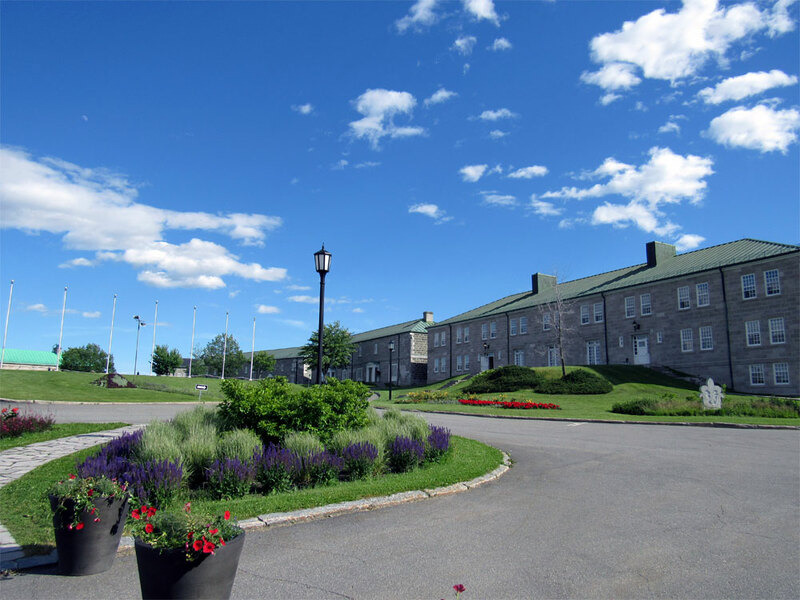 Listed as one of the most haunted locations in Canada, the Plains of Abraham are located just south of the La Citadelle. While La Citadelle is inaccessible from the north, west and east (at least prior to it becoming a museum), the south was accessible by a slanted hill. The French believed they wouldn't have to worry about an invasion from the south as the British would only be able to attack from the north as they came down the river. This fort repelled many attacks by the British, and saved the city during the bombing of Quebec City which completely destroyed Haute-Ville and Basse-Ville. Seeing La Citadelle as the only thing that stood between the English controlling New France, the British learned the weakness of the fort and in the dead of night they planned an attack from the south of the fortress on the Plains of Abraham. The French awoke to the British forces on top of them, and the field quickly became a blood bath of both French and British soldiers. There were less than 8,000 soldiers that were involved in the conflict, and the battle only lasting from 15 minutes to half an hour, but both commanding generals of the British, General James Wolfe, and French, General Louis-Joseph de Montcalm, were killed in combat. The British then took control of La Citadelle and repelled any future French militia attacks. The success at the Plains of Abraham led to the peaceful surrender of Montreal and the capture of New France by the British days later. It was after the final blessings at Notre-Dame de Québec at 9 PM on July 12th, 1759, that the British began bombing the city. Cannon balls riddled the cathedral, tearing holes through the ceilings and walls, crashing into pews and destroying statues. Father Jean-Felix Recher recorded the events in detail, discussing what they were able to save of the church before it was burned to the ground during the Siege of Quebec. It would be one of the many buildings destroyed by the British. Today the cathedral has many different purposes. 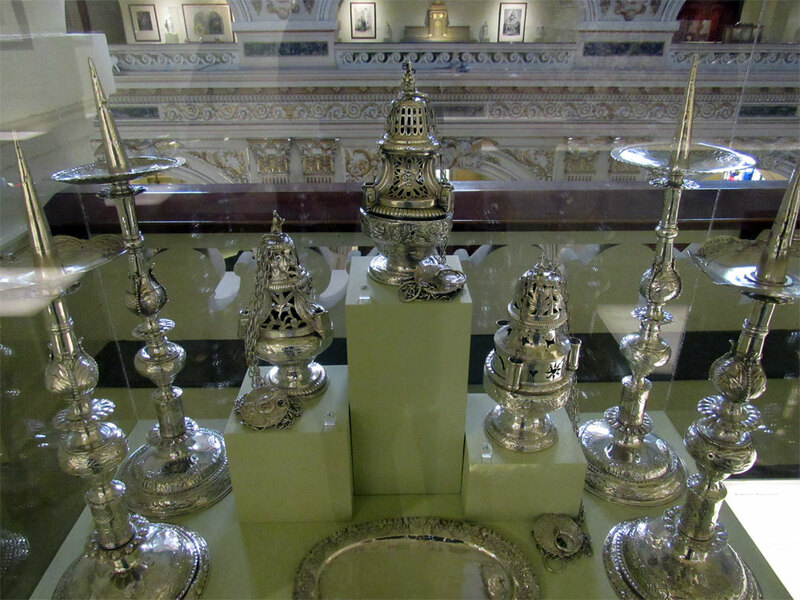 While being a house of prayer, it is also a museum of relics prior to and after the siege. The second floor of the church is covered in goblets, cossaks, manuscripts, paintings, photographs, miniature Ark of the Convents and priceless paintings. Many of the paintings had been stolen from the church in the past, and were damaged by their captors before being returned. There is also an exhibit dedicated to François de Laval, his accomplishments and his effort to spread Christianity across New France. His resting place is on display at the cathedral. Below the cathedral is a beautiful crypt which holds the remains of pastors, bishops, archbishops and cardinals of the church, along with four governors of New France. 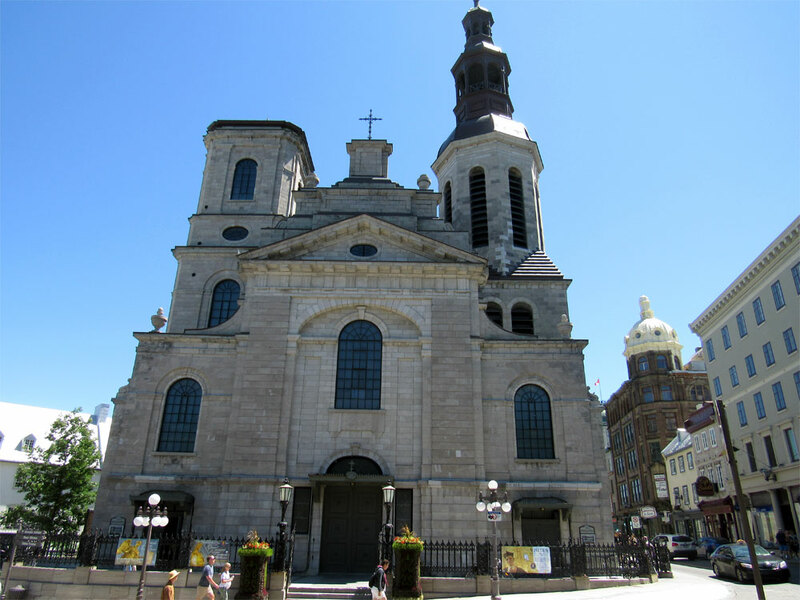 Additionally there is also a spot for the famous explorer Samuel de Champlain, who is believed to have been buried somewhere in the vicinity of the cathedral. At the end of crypt is a doorway to a room for the common folk who were buried below the church before the crypt was built. There are reportedly thousands of unknown people buried in this room, with many of them victims of the deadly epidemics that rocked the city. Photography of the crypt is prohibited as it is still in active use. The cathedral has one more secret. As part of its 350th anniversary, a "holy door" was installed on the side of the building. This is the first holy door outside of Europe, and is seventh one in the world. The holy door closed to the public on December 28, 2014 and won't open again until 2025. I am sorry to say, but I have no idea what's beyond that door. I'm not a huge fan of walking tours, but with such a livid history, Quebec City is oozing with stories, and when I heard they had nightly ghost tours I just had to go! The Ghost Tours of Quebec covers a variety of stories throughout the city, varying from topics such as deadly curses, a haunted neighbourhood built over a smallpox graveyard, executions (both by traditional and non-traditional means) and a woman cloaked in a dark robe that has supposedly even been witnessed by Queen Elizabeth ll. Besides The Ghost Tours of Quebec, there is also The Original Ghost Lantern Walking Tour. While I didn't take this tour, we did pass them on our own tour. The difference between this tour and The Ghost Tours of Quebec is that this tour has the actors dressed up in period clothing – not just black cloaks and top hats – and have their skin painted white to appear, well, dead. Reviews online have all been positive but none say what stories this tour has to offer. I did read somewhere that there is a tale involving vampires, for all you Twilight Dracula fans out there. The city has several other tours, mostly in the daylight. They vary from beer pubs to religious sites, to historical locations to military fortifications. Being over 400 years old, Quebec City has a lot to offer. To add to the mix, there are also boat cruises, helicopter and hot air balloon rides, train tours, and even guided taxi and limousine tours. 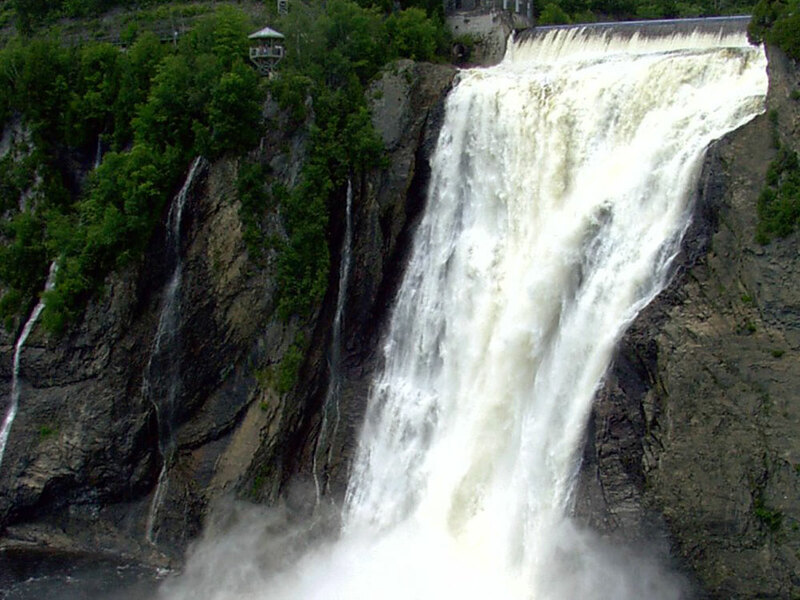 A measly twelve kilometers away from Old Quebec is Montmorency Falls Park, home to the famous Montmorency Falls. While Niagara Falls, or Horseshoe Falls, is Canada's most famous waterfall, Montmorency Falls is actually 30 feet taller, at 275 feet high, and is the tallest waterfall in Quebec. The cliffs surrounding the falls are accessible via stairs, cable cars, and bridges or by rock climbing, all of which offer their own unique perspectives of this massive waterfall. While the park is most famous for the falls, it is also lined with over three kilometers of hiking trails, including one that offers a panoramic 487 step staircase that clings to the edge of the cliff, offering an unprecedented experience of the awesomeness of the water as it barrels over the edge and into the void below. An equally awesome experience is available in the winter after the frigid Quebec winter blows in. As the temperature drops, the falls freeze and are used by both novice and experienced ice climbers. 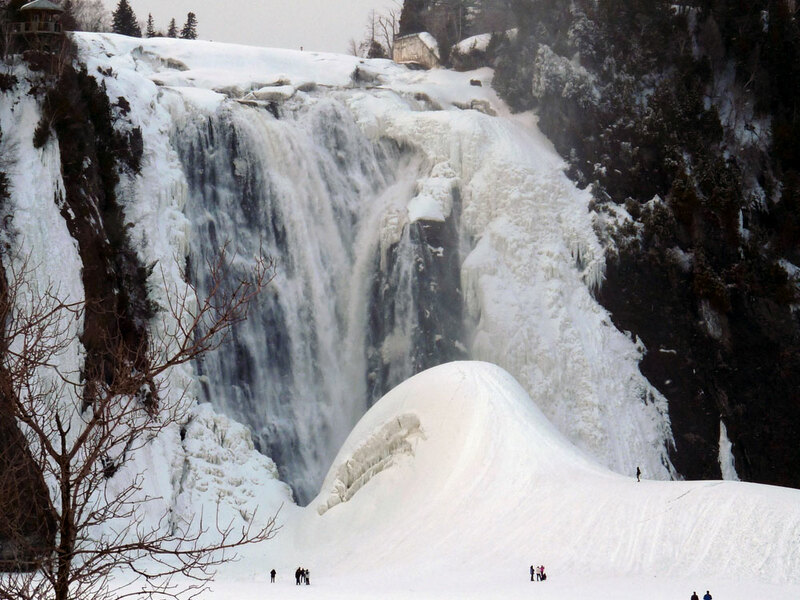 The ice from these falls were also used to create the first Ice Hotel, which is now a Quebec tradition. For those looking for ghost stories, these falls offer their fair share. While there are plenty of stories of women jumping to their deaths, the eastern corner of the park has its own bloody history. 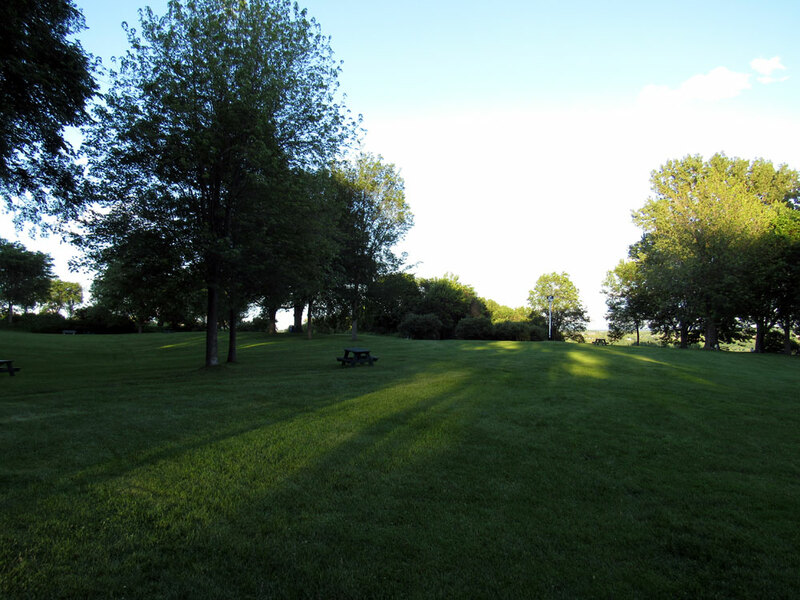 Being north of Quebec City, the park was a premium location for British forces during the Seven Years War. During the night of July 8th or 9th 1758, General Louis-Joseph de Montcalm led an attack on the General James Wolfe's encampment, and under heavy rainfall and fire from navy ships, killed 210 British soldiers and wounded 233 more. Two months later the British would offer their counter-attack on the Plains of Abraham, in the most defining battle in Canadian history, and win. The remains of General Wolfe's encampment still exist today. Fifteen kilometers from Quebec City, splitting the St. Lawrence in half, is the picturesque Île d'Orléans, or Island of Orleans. This gem of an island is covered in fertile soil and today is used for farming, hiking and bicycle riding. While Quebec City is far from the hustle and bustle of other major cities, Île d'Orléans still offers a paradise away from city life. Famous for its produce, especially strawberries, apples, potatoes and wineries, the island has become a tourist attraction the past few decades and is now dotted with dozens of cozy bed-and-breakfasts. The island's history is old, dating back even before Quebec City was founded, with the Hurons calling the island "Minigo", or "Enchantress", because of its charm. In 1535 Jacques Cartier renamed the island "Île de Bascuz", but the following year renamed it again to "Île d'Orléans". 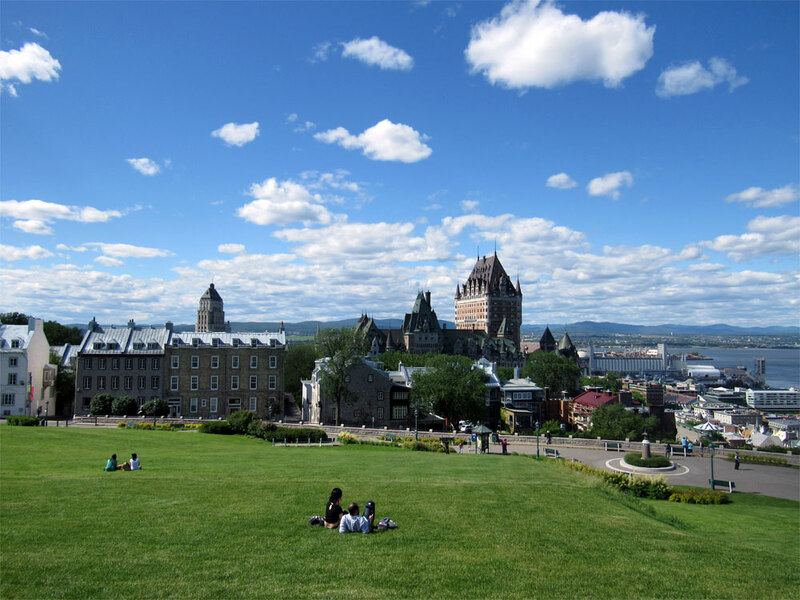 Colonization of the island was slow, with many people preferring to live closer to cities such as Montreal and Quebec City, leaving its natural beauty untouched. In 1648 the Huron fled north to the island, fleeing from the Iroquois after numerous attacks and massacres. There the French protected them, and allowed them to stay in safety, however the Iroquois would later attack the island and slaughter 71 Huron, leaving the French inhabitants unharmed. In 1657 the Huron would leave, believing they were no longer safe on the island. Four years later the Iroquois would commence another massive attack, this time in both Montreal, Quebec City, Île d'Orléans and several other communities. Known as the "Year of Terror", the Iroquois would kill over 100 people. In 1759, the island was evacuated as the British Navy approached, and the island was taken under British command. After one of General Wolfe's defeats, the island was attacked by the French and the majority of the original structures were razed. The remaining buildings were marked with graffiti by the British and can still be seen today. Currently the island is occupied by just over 6,000 people in six separate communities. While each community is spread across the island, there is something unique to see in each! Some communities have restored the buildings, reconstructed to appear just like they looked in the 1700s, while others have orchards and flower gardens that boast over 75,000 (!!) lavender bushes, and yet others have museums, art galleries, wineries, cathedrals and quaint New France homes. If visiting the island, the website recommends to purchase the Passport Culture Île d'Orléans, as you will save over 50% on attractions across the island, and have a $6 discount to enter the Nouveau Théâtre de l'Ile d'Orléans (Comedy Theater). Quebec City is truly a magical city, home to over a dozen museums and cathedrals, with mystery and history and performances and something fun to discover in every corner. Was there something I missed? Did I convince you to take a trip to this beautifully quaint city on the edge of the St. Lawrence? Let me know in the comments below! 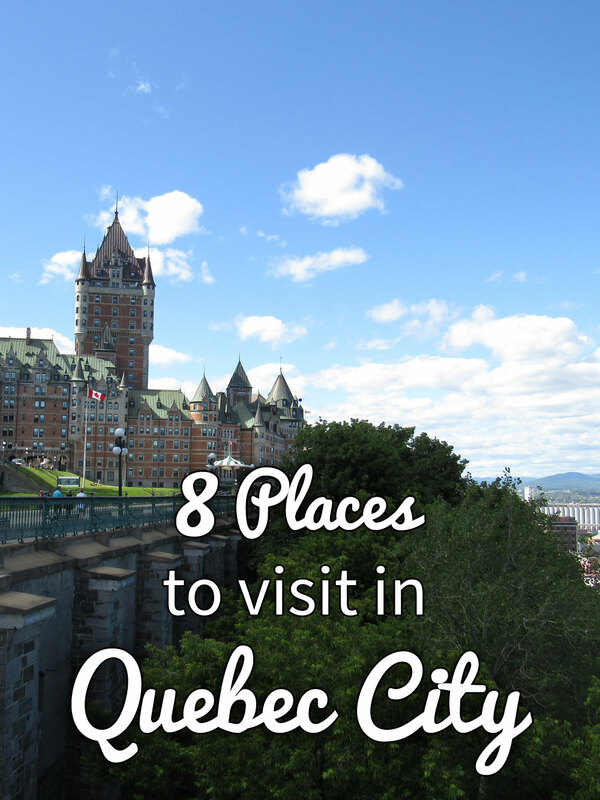 Looking for more things to do in Quebec City? 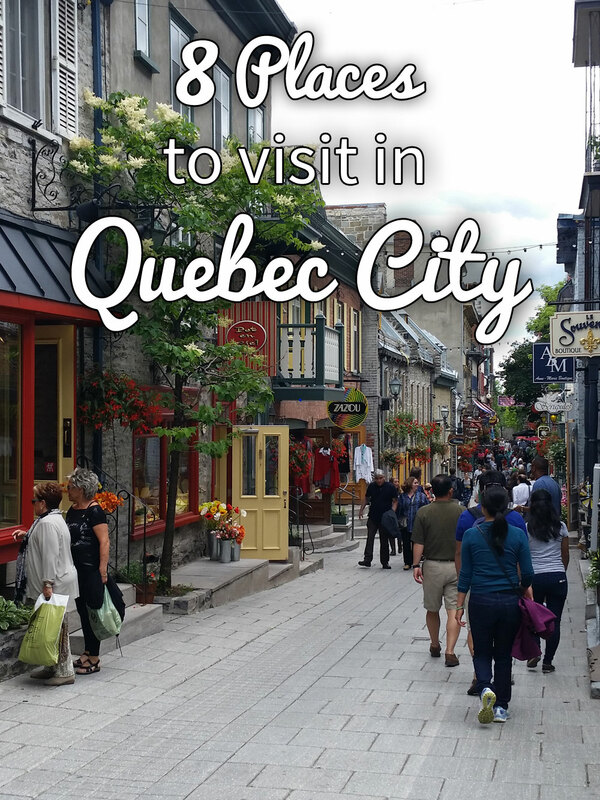 Check out Lonely Planet's guide to Quebec City and Montreal! I wish I could say all of these pictures were mine, but I did borrow two from other sources. The one of the Montmorency Falls belongs to Grendelkhan, and his image was taken off Wikipedia. The second image is of that incredible bicycle trail in Île d'Orléans. That belongs to the official Quebec Region website, and was taken by Sébastien Larose.